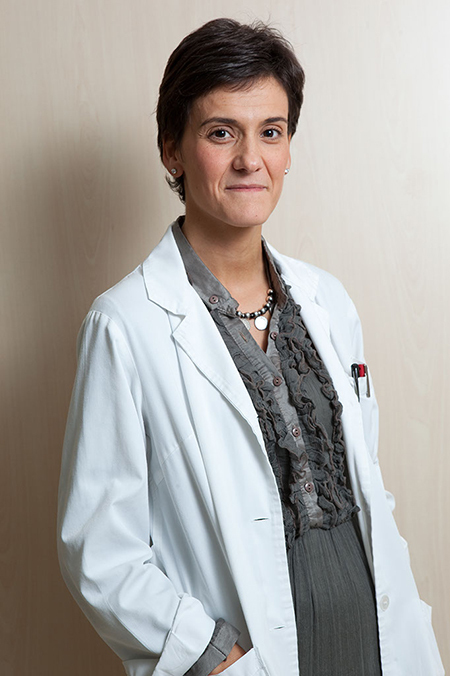 I am a member of the multidisciplinary team at the Brain Injury Service of the Aita Menni Hospital. I like being a catalyzing and activating element, a driving force within my team. Being in contact with the patients and their families is what I like best. I always try to empathise with the patients and beyond, that is, their family and environment. I find the problems and difficulties at work to be really challenging. At the end of the day, the patients’ outcomes following rehabilitation are very rewarding. - Social Worker. University of the Basque Country. Donostia-San Sebastian. 1994. - Master’s Degree in Psychosocial Gerontology. University of the Basque Country. Donostia-San Sebastian. 1996-1998. I have attended ongoing training courses in the fields of Social Work and Brain Injury, as well as workshops conducted at the various multidisciplinary services and departments in the Hospital. - Institutional protection of the disabled. Hurkoa Foundation. Donostia-San Sebastián. October 2002. - Care for the elderly from a professional perspective. Government of Guipúzcoa. Donostia-San Sebastián. October 2003. - Introduction to total quality and the EFQM model. Aita Menni Hospital. May 2004. - 2nd Workshop on Independent Living. Government of Guipúzcoa. Donostia-San Sebastián. June 2006. - Care for disabled adults with social needs. Hurkoa Foundation. Donostia-San Sebastián. March 2006. - Workshop on Social Work and Health in the Basque Country. Donostia-San Sebastián. October 2007. - 2nd Vizcaya Workshop on Drug Abuse. October 2007. - 10th Workshop on Psychosocial Rehabilitation and Assistance to Severe Chronic Mental Illnesses. Bilbao. November 2007. - 3rd Vizcaya Workshop on Drug Abuse. Bilbao. October 2008. - 7th Guipúzcoa Meeting of Mental Health Professionals, “Approaches to chronic mental illnesses.” Donostia-San Sebastián, June 2008. - Family and brain damage. Beata María Ana Hospital, Madrid. March 2010. I have worked as a social worker at the Aita Menni Hospital since 1995. I provide social services at the Convalescent Care Unit, the area of Geriatric Psychology, and the Day Care Centres for dependent elderly people. I joined the Brain Damage Service in 2009. Over the past years, I have been a tutor of students in the Social Work Programme at the University of Deusto and the University of the Basque Country. I enjoy spending my leisure time with my family, travelling, going to concerts, and skiing. I am a foodie, too.